Cambridge House is a 5 star guest house in Reeth that offers quality accommodation in the magnificent surroundings of the Yorkshire Dales National Park. We have five en suite letting bedrooms comprising of one single room, three double rooms and one twin bedded room, all with good size bathrooms. The double and twin rooms have a bath and shower whilst the single room has a good size shower. The guest rooms, all individually furnished, are what you would expect from a countryside guest house. All guest rooms have TV, hair dryer, a selection of teas and coffee, mini fridge for fresh milk, fluffy bathrobes and a selection of complimentary toiletries. Tolehurst Barn B&B is located in a rural and quiet part of the Kent countryside, in a pretty village called Frittenden. 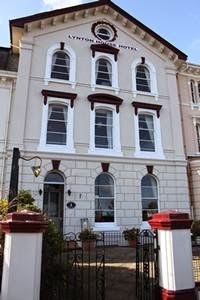 The bed and breakfast has been renovated to a high standard to ensure that your stay is comfortable and enjoyable. Our bed and breakfast has a traditional peg tile roof and many exposed beams. It has been featured in the Observer and Marie Claire magazine. The Barn is in an excellent location from which to explore Kent. Sissinghurst is only five miles away and within easy driving distance are twenty National Trust properties such as Chartwell, Knole, Kipling's home, Batemans, Scotney Castle. Other famous sites are Leeds Castle, Great Dixter and Penshurst. Tunbridge Wells is twenty minutes away by car, Canterbury within easy reach. 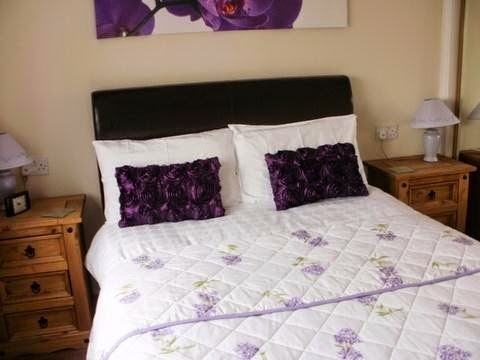 Rose Cottage offers comfortable bed and breakfast accommodation in Launceston, Cornwall. Set in the Kensey Valley close to the River Tamar it has spectacular views of Launceston Castle, Launceston Town and the surrounding Cornish countryside. All of the bed and breakfast rooms are tastefully decorated and furnished to give comfortable, quality guest accommodation. Sets of fluffy towels and a flannel are provided for each guest and replaced daily if required. The double en suite room has views of the Kensey Valley and St Stephens. The decoration in shades of turquoise, green and cream with hints of crystal and gold has been designed to give guests a relaxing and comfortable stay. Breakfast of your choice is served in the dining room between 8am - 9am. Enjoy the superb views from our window table or admire the many pictures which hang in our dining room. Sleepy Hollow offers B&B accommodation in the beautiful North West county of Lancashire. The bed and breakfast is located in half an acre of land just outside of Farington Moss near Leyland. 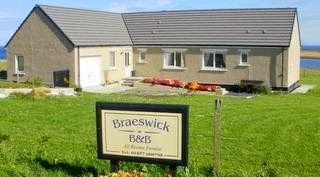 Our B&B is a wonderful retreat for couples who are looking for a relaxing or romantic break away. Breakfast is included in the room rate and is served in our dining area each morning. We know how important breakfast is so ensure our guests have a meal that is fit for a king. Our breakfasts include farm fresh bacon, free range eggs as well as tomatoes, mushrooms, beans and tea/coffee. Being situated at the very heart of Lancashire makes us an ideal base for a short break or a business visit. There are many beautiful walks that start from the bed and breakfast or you are welcome to stroll round our lovely gardens and find a quiet spot to relax, read a book or paint. Lochgair Hotel offers bed and breakfast accommodation located in Lochgair seven miles away from Lochgilphead in Argyll. There is a restaurant at Lochgair Hotel that B&B guests are welcome to use. The restaurant offers home cooked food and local produce wherever possible. The local village of Lochgair offers riverside walks that boasts beautiful views over Loch Fyne to the Cowals of Bute. Within in a five minute drive from the hotel there are extensive forestry walks and many cycling routes and bridle paths. For golfers there is a wide choice. Inveraray, Lochgilphead and Tarbert each have a nine hole course. Argyll Adventure, near Inveraray, offers horse riding, laser clay pigeon shooting, bungee trampolines, climbing walls and paintball.